Fresh rumours that emerged last weekend over Penrith coach Anthony Griffin’s future at the Panthers are way off the mark according to club officials I’ve spoken to. Griffin is on track to guide the Panthers to a third consecutive Finals series and given he’s done it with a crippling injury crisis, he should be praised versus having his role questioned. Talk that he’s lost the dressing room is just silly. That said, the fact that these rumours keep emerging does make you wonder if there is an underlying issue somewhere in the Penrith structure. I do get a little feeling not all is as well as it’s being portrayed, but any talk of Griffin being dumped is certainly overblown. Origin stars James Maloney, Nathan Cleary and Tyrone Peachey will all back up to play for Penrith against Manly on Saturday, but were given a few days off this week to soak up the Blues’ historic victory. They won’t return to training with the Panthers until later today. Meanwhile, Kiwi stars Dallin Watene-Zelezniak and James Fisher-Harris were delayed in Denver due to weather issues and have also had limited training leading up to Saturday’s game. I’m told the Panthers are more confident than ever that Nathan Cleary will stay at the club beyond his current contract. The 20-year-old’s new home at Thornton is nearly complete, and Cleary seems content with life in Penrith. Why wouldn’t he be? Things are going along swimmingly at present. 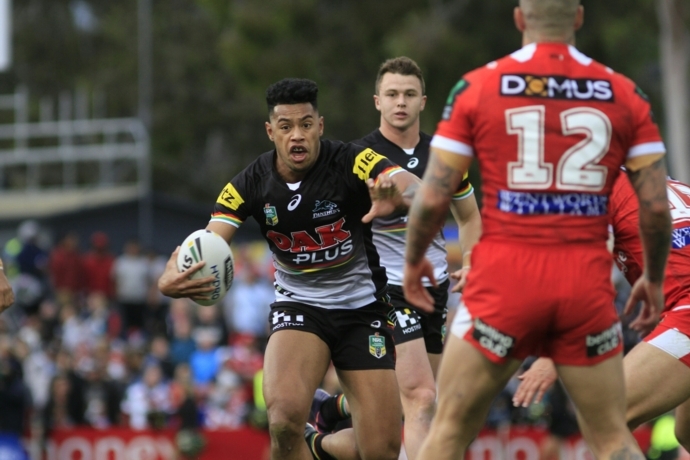 Rumours emerged last week linking a key Penrith forward with South Sydney. I’m told the story is off the mark and the talented powerhouse is going nowhere. Meanwhile, speculation about Manly forward Lloyd Perrett joining the Panthers before June 30 has also been hosed down. The Panthers will introduce pet memberships for the first time next year, meaning your furry friends will be able to show their Panther Pride. Pricing has not yet been confirmed. Several clubs offer pet memberships as part of their membership options, and there’s a reasonably solid take-up from die hard fans. It was hoped that Waqa Blake would return for Saturday’s game against Manly but it now appears more likely he’ll be back against the Warriors next week instead. The powerhouse centre is back running after ankle surgery, but is at least another week away from being cleared to return. The Panthers will pay tribute to recently retired skipper Peter Wallace at Panthers Stadium on Saturday. It’ll be the first time Wallace has seen the home fans since he announced his shock retirement earlier this month due to chronic injuries. The Panthers are pushing the #ThanksWal hashtag, offering free posters to the crowd on Saturday and will have a special presentation for the tough as nails 32-year-old. The Gold Coast Titans are said to be shopping around former Panthers forward Bryce Cartwright, just six months after he joined the club. The 23-year-old is really struggling at the Titans with his fresh start turning into a disaster. The problem for the Titans is that apart from a couple of low-ball offers, no other club is interested in Cartwright’s services. 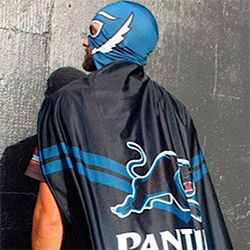 The Panthers actually have first dibs on Cartwright as part of their deal to release him to the Titans, but have little interest in seeing him return to the foot of the Mountains at this stage. Panthers prop Nick Lui-Toso has signed a contract extension which will see him remain with the club until at least the end of 2020. Meanwhile, Liam Coleman has also signed a new contract with the Panthers. Tom Eisenhuth and Oliver Clark have both been released by the Panthers to pursue other opportunities.